I still remember vividly the day when I found out I was pregnant and also the starting of my morning sickness. Time does pass quickly. The next thing you know, we will be welcoming our baby. I am not gonna count, but rather just enjoy the moment. It's gonna be a busy 3 months plus for us to prep for the baby. Sometimes I feel do scared, but sometimes I feel confident that I can do it. No mothers / parents are perfect. It's very expensive to have a baby now compared to my parents era. My checkups normally cost about 200-300 per visit, and also we did more scanning like detailed scan and down syndrome scan which are actually optional but parents nowadays do it as well and it cost about RM 400-500. Plus we even bought the baby insurance which is about RM 300. Milk bottles also cost about RM 200... not to mention my baby clothes, LOL which I spent more money on that and buying too much. 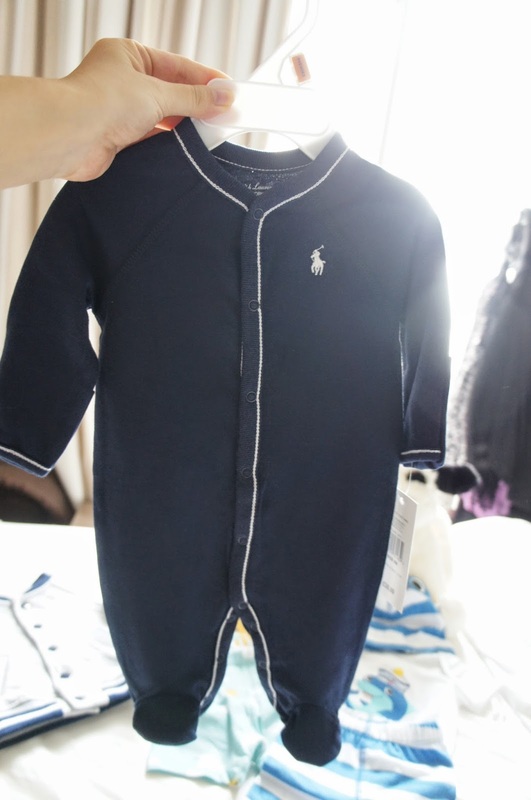 I think my baby first month won't repeat his outfit hahaha joking! Jasiminne bought more new clothes and so did I, all from London. I even ask her to buy some stuff from Aden and Anais, can't wait for it to arrive!!! These are Jasiminne's gift to Baby M :) Thank you Jas! LOVE IT SO MUCH! The shoes are just too adorable! I can't stop looking at them! I am so into JellyCat toys now! We bought the Bunny and the Dog :) I chose the bunny while Marcus chose the dog :) Both so soft and is safe for newborns :) They've got so many nice designs, you can check out their hashtags #jellycat on insta. My parents and MIL said that our babykins is so blessed to have many wonderful things already, last time they drink milk from glass bottle nie, like the kicap bottle wan.. ahahha, no such thing as 3D scan, and after all that, they are still fine. Don't even get me started about education. I don't want to think that far. Babykins have been actively kicking me now, even the doctor said that my baby started kicking quite fast, perhaps because it's the world cup season? LOL! and those who follows me on FB sure saw my status before that I jokingly said that I will name my son after the footballer who scored during the finals? and coincidentally the guys name also started with M, Mario. Hhahaahah I was like woahhhhh so ngam? But no, we are not naming him Mario :) I surely want to name him starting from M, but we still haven't really made up our mind yet... any suggestions for Baby M? Trust me, it's one of the hardest thing to do. Also, I notice that I've changed a lot. I become more motherly. I am addicted to house cleaning and decorating now. Things I thought I will never buy, all end up buying like nice household deco stuff. I guess when H&M Home opens in Avenue K, I will go crazy.... I already eye on some products hehe. I already planned my baby room long time ago, can't wait to actually do it and show you guys! Will keep you all updated! Till then, have a blessed week.